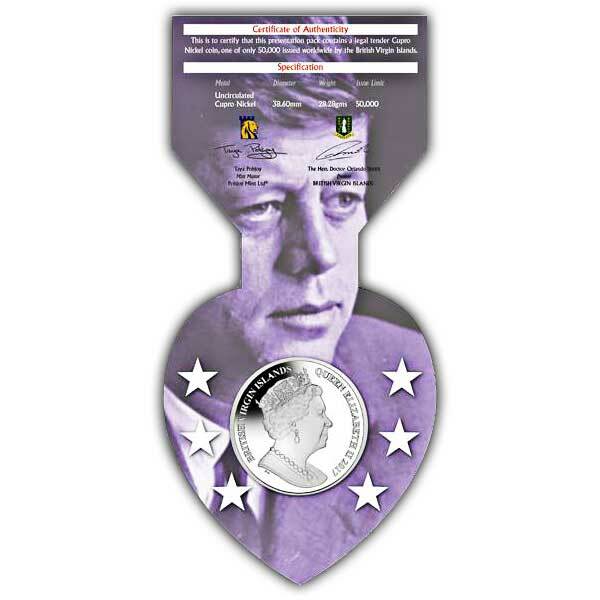 2017 marks the centenary of John F. Kennedy's birth and in order to celebrate the milestone of such a prominent figure, Pobjoy Mint believed it proper to release this gorgeous numismatic tribute. John Fitzgerald Kennedy, likewise called 'JFK', was born in May 1917 in Massachusetts and invested the first 10 years of his life in Boston till his family relocated to the Bronx where he spent his middle school years. Kennedy later on went on to study at the London School of Economics and Harvard University which laid the structures of his political career. The Kennedy household was a very well established United States political family and produced a president, three senators and numerous other political leaders. Kennedy had a prominent military career from 1941-1945 and served in WW2 and the Pacific War. One significant event was when the torpedo boat Kennedy was serving on was sunk. In order to save the crew, he needed to swim a distance of about three and a half miles in the evening whilst towing a hurt soldier from the wreck to a nearby island. 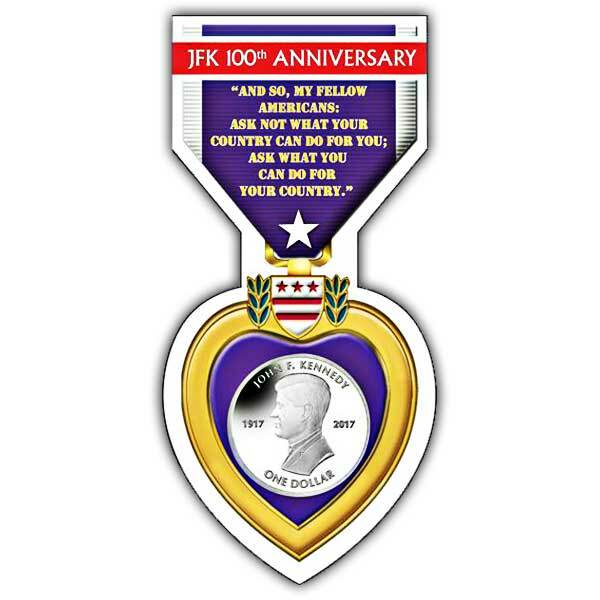 JFK acquired numerous medals and awards for his service, one being the Purple Heart making him the only president to receive one. The obverse includes an effigy style of Queen Elizabeth II created by and special to Pobjoy Mint.